Punitive Political Profiling Pulls Pensions! Bert and I live on the pensions that we have, devoting ourselves full time to the work of the Natural Solutions Foundation, so when we went to our Chase account today to pay our rent and other expenses, we were shocked to see that there was, literally, no account there. 1. On November 25 our account was reviewed without notice to us and marked for closure “because of unusual account activity”. There has been no unusual activity: we get our pensions deposited, pay our bills and ship the rest to our bank in Chile. Nothing else has happened with our account for years and years. 2. On December 24 a letter was allegedly dispatched to our address in New Jersey (Counsel Ralph’s office) which announced that the account would be closed in 10 [working?] days. That letter has not yet arrived. 3. On December 30 (clearly not ten days later) our account was closed without notice to us. 4. All of the money in that account, including our January pension payments that arrive in late December are missing in action: we have no idea where they are or when the money will be available to us. Chase chose to supply no information on that score. 5. All government pensions including SS, DFAS, Veterans Administration and Bert’s private pension will bounce back to the government or private organization which issued them. It will most likely take months before they are recovered and meanwhile we have, quite literally, no money on which to live, pay our rent, our bills and so on. This is clearly a case of political profiling for punitive purposes because of what we say and what we do. TEN YEARS FIGHTING FOR YOUR HEALTH FREEDOM! You Can Now Buy Your Silver Products With YourCredit Cards Again! Stop in and get yourself some Nano Silver! THIS GIVING SEASON, DONATE TO YOUR HEALTH AND FREEDOM! You know about “Crowd Funding” which gives people a chance to be part of something they believe in. What about List Funding? That means that Health Freedom supporters who are on the our list have a chance to be part of something that we KNOW you believe in: your health, your freedom and your inalienable right to own your own body and make decisions about your own health. What’s the best way, right this minute, to support your own health freedom? The best thing you can do is give generously this giving season to the Natural Solutions Foundation. We are there for you in the most profound and creative ways any organization is working for you. We have no reservations about how hard we fight for your freedom but we do have expenses. Internet service. Sophisticated Action Item email services, Our Smart Phone APP: DOWNLOAD IT HERE). Our dedicated staff gets paid regularly even though our Trustees do not accept payment for the more-than-twice-full-time they each put in every day for you. Phone service. Media presence including press releases, publications, video production costs, etc. Research assistants. Office supplies and equipment. The list goes on and on, as you well understand. Then there are the substantial legal costs we incur in order to fight government tyranny on your behalf so that we can speak truth to each other and to [corrupt] power. Click HERE to donate to the Natural Solutions Foundation so that we can continue to be the foundation of your health freedom. Click HERE to set up a recurring donation to make sure that we have the resources to protect your freedom to choose or refuse vaccines, contaminated food like unlabeled GMOs, to know about radiation dangers when the media lies to you saying everything is fine and on and on. Click HERE to continue to receive information about weaponized dangers like Ebola when no one else is telling you the truth without any sugar coating. Click HERE to keep health freedom alive and kicking all the soft spots to make change happen and keep genocide at bay. Or don’t… and find out just how bad it can get just how fast. You Know About Heavy Metals. What About Protective Metals? Oh, yes, there is another way to support us: join us in protecting your own economic health by building up your personal and family supply of eco-protectant: Gold. Here’s that link: www.NaturalSolutionsGold.com. Whatever you do, this giving season, give with a reason: the clear understanding that health freedom has never been so imperiled as it is now. And the battle has never had stakes as high as it does now. Are you with us or are you a bystander, watching to see which genocidal tactic yields the biggest body count? Since we founded the Natural Solutions Foundation in 2004, we have focused on your Health Freedom. Now, ten years later, we have made a significant impact on your health and your freedom. You can see a list of some of our accomplishments: HERE. May you and your family have a joyous, safe, peaceful and prosperous holiday season and new year! We thank you for all your vital and continued support! Everything we have accomplished we have done together. Thank you! PS: Don’t forget: You Can Now Buy Your Silver Products AND your Micro Gold With Credit Cards NEW SILVER SHOP: www.NSFMarketplace.com. Stop in and get yourself some Nano Silver! Two weeks ago, when the leaders of the G20 met in Australia, they authorized a new set of banking rules that put bankster derivative “bonds” ahead of depositors’ money. That means your money in the bank is not safe anymore. See: http://www.zerohedge.com/news/2014-11-12/russell-napier-declares-november-16-2014-day-money-dies. This quick note comes with my best wishes to give you a meaningful, and unique gift idea for your loved ones this Christmas. 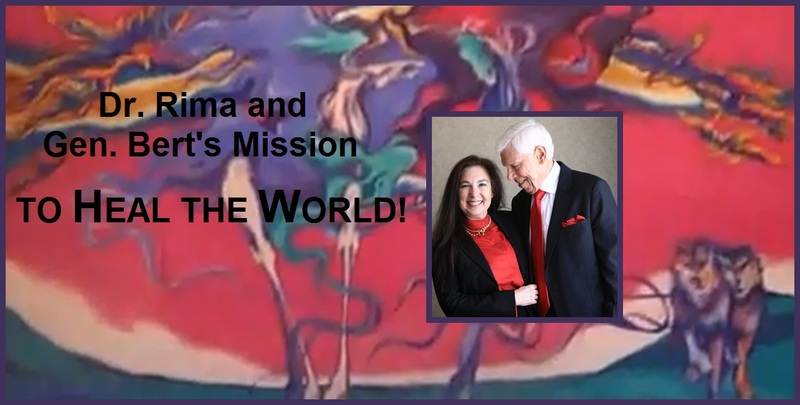 If you value your economic health, you value sound money, just as D. Rima and I do. That probably means that you want to show a loved one what real value looks and feels like – so you’ll want to give them one of these and really surprise them! One Gram of 999.9 LBMA Pure Gold Embedded in a Traveling Gift Card! Use the form at this link to establish your account then follow the steps to place your order. When we announced the last date for our special gold gift program for Holiday Delivery, the response asking us to extend it was overwhelming. We made arrangements for you to do just that, but this is the final extension we can arrange to assure Holiday Delivery. You must order by December 10th so the bars can arrive in time for the Holidays. A portion of the proceeds of each card goes to support our efforts – and I’ll connect you to the experts, including Gary, Chad and “Goldfinger” Pete, who can show you how you can use these same gold cards to support your family and health freedom too! Here is the link to get started giving sound money for the Holidays! Breaking News: Feds Hiding Epidemic! Is the US Govt Hiding a Growing US Epidemic? There is much you can do… I am inviting to join the Protection Brigade: The more people protected , the less Medical Martial Law, Fema Camps and the rest of it are likely to become realities. The more people who are protected, the less likely the vast numbers of Fema triple coffins are to be filled and piled in land fills and trenches. The more people who are protected, the less traction globalization at the end of a gun, or a syringe, is likely to gain. Remember, we are obligated by the FDA/FTC to remind you that, according to them, Nano Silver does not prevent or treat any disease because it is a nutrient and nutrients may not be said to prevent, treat or cure any disease — we’ll be seeing them in court on that one! Nano Silver supports homeostasis by supporting normal cell membrane integrity. When your cell membranes are doing their job and protecting your cells against viral attack, there is no disease to prevent or treat. The presence of a virus or bacterium in your body is not, of itself, a medical condition. 2. Gift Nano Silver to the people you would like to see survive http://Donate.DrRimaTruth.com. They may laugh at you now, but they will bless you from the deepest place in their hearts when your gift saves their lives! 3. Share this email with literally everyone you can reach with a short note saying that you found this email compelling and you are sharing it because the information inside is so important. 4. Tell the FDA that Nano Silver 10 PPM is urgently needed and they must stop their persecution of it and declare it an essential nutrient in this crisis: http://tinyurl.com/DontStopNanoSilver. 5. Make a donation to the Natural Solutions Foundation here: http://Donate.DrRimaTruth.com. No, Dr. Smith, you did NOT use every possible means to try to save Dr. Salia. DESPITE having been demonized by the Big Pharma friendly FDA, CDC and WHO, the definitive therapy (not “treatment” – a term legally reserved only for drugs) is the particular Nano Silver 10 PPM that my Foundation provided to Sierra Leone on a humanitarian basis. Clinical experience supported the laboratory findings that the presence of this safe, self-sterilizing nutrient supported the normal immune function of the patient to the extent that the government of Sierra Leone reported that 500 people diagnosed with Ebola in Port Loko and elsewhere, had been restored to health. WHO has forbidden the further acquisition of Nano Silver despite it having been declared an officially recognized therapy in that country. Similarly, WHO, whose funding and shareholders are Big Pharma and its supportive agencies and organizations, interdicted the clinical demonstration of Nano Silver 10 PPM in an Ebola ward by bludgeoning the Ministry of Health into cancelling the demonstration. This despite the fact that on August 12, WHO announced that human experimentation with anything that might help in the fight against Ebola would be permitted without informed consent. They defined this as ethical even if the substance had never been evaluated for human safety or efficacy and said that this was not only a “moral duty” but was “ethical”. Except for Nano Silver 10 PPM. So, No, Dr. Smith, you did not use every possible means to save Dr. Salia. You failed to investigate the safe, natural and effective means that has already saved the lives of 500 people. You failed to open your eyes to the life saving possibilities of a natural nutritional strategy which has over 1000 peer reviewed studies behind it and has been shown, in a laboratory study declassified by the US Department of Defense’s Department of Threat Reduction in 2009 (!) and brought to world attention in this regard through the work of the Natural Solutions Foundation. In short, Dr. Smith, you acquiesced to the good of the system to the fatal determent of your patient. True, you had a lot of help. Perhaps you did not know that Nigeria, while vilifying Nano Silver 10 PPM, quietly secured 26000 bottle of the substance and deployed it. They then were declared Ebola free. Perhaps you did not know that African heads of State and other high ranking people are happily dosing themselves and their families and intimates with this totally non toxic material so they are not getting sick while WHO/FDA/CDC conspiracy, yes, conspiracy, to make a space for expensive, untested vaccines leads to totally unnecessary deaths like that of Dr. Salia. Why, I am compelled to ask, did the experience of Sierra Leone in the reported conversion of 500 Ebola patients from sick to healthy not attract your attention? The hospitals and science base of that country were considered good enough by WHO, UN, US, the Bill and Melinda Gates Foundation and the Open Foundation of George Soros to allow the establishment of a BioSafety Laboratory at Kenema Hospital with a contract to weaponize the Ebola virus. Did you not think that their clinical experience in the resolution of diagnosed Ebola in their reported 500 cases was worthy of note? They have been quite explicit in stating that what they gave them was the Nano Silver 10 PPM that our Foundation provided to them. Perhaps there is a bright side, Dr. Smith. Perhaps with this information starkly in front of you, looming over the image you must carry in your mind and heart of the dying patient whom you failed to save, you will look a little wider than the failed strategies of plasma and ZMAPP to what actually works. Please feel free to contact me at the email below for more detailed information on Protocol, etc.